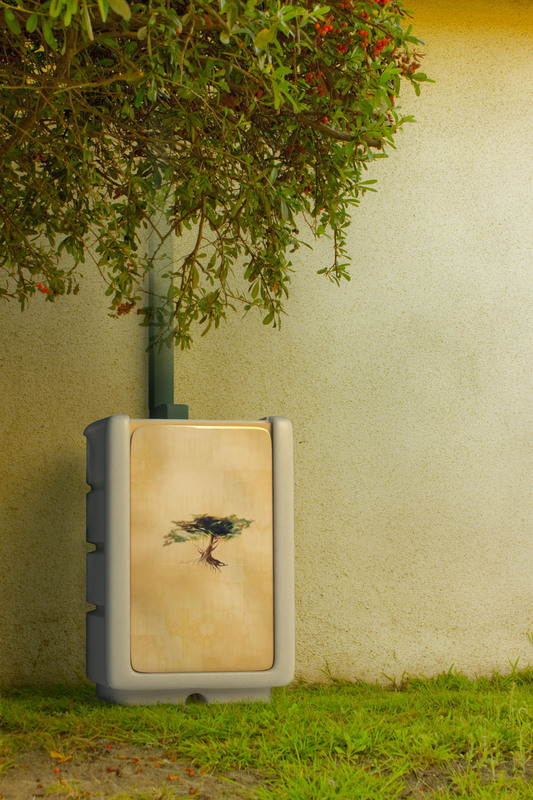 RAINGODDESS™ is an innovative and aesthetically pleasing residential rainwater capture system. Our systems offer the consumer the flexibility to select from a number of faceplate designs and capture system colors. RAINGODDESS’™ patented faceplates incorporate original artwork with vibrant living colors. RAINGODDESS™ provides homeowners with an attractive and affordable tool to reduce potable water use in gardens and on landscape; and to reduce stormwater runoff, as a low impact development (LID) best management practice (BMP). RAINGODDESS™ was designed and developed to address the desire that many homeowners have to harvest and use rainwater, but are frustrated by the general unattractiveness of today’s systems currently on the market. RainGoddess provides the solution to this problem by offering unique faceplates which we call Faces for our customers to choose from. Additionally, our faceplates are sold separately to ensure that our customers can truly “change the face” of their capture systems. We strive to make our systems works of art that enhance the look of our customer’s homes and gardens.